Through an innovative configuration of servo motor technology, virtual reality visualization, and true Hardware-in-the-Loop (HIL) control, students can achieve deeper comprehension of complex concepts, while having more fun than they could have ever imagined in an undergraduate lab. Participants required little or no coaching before they began to master the system. 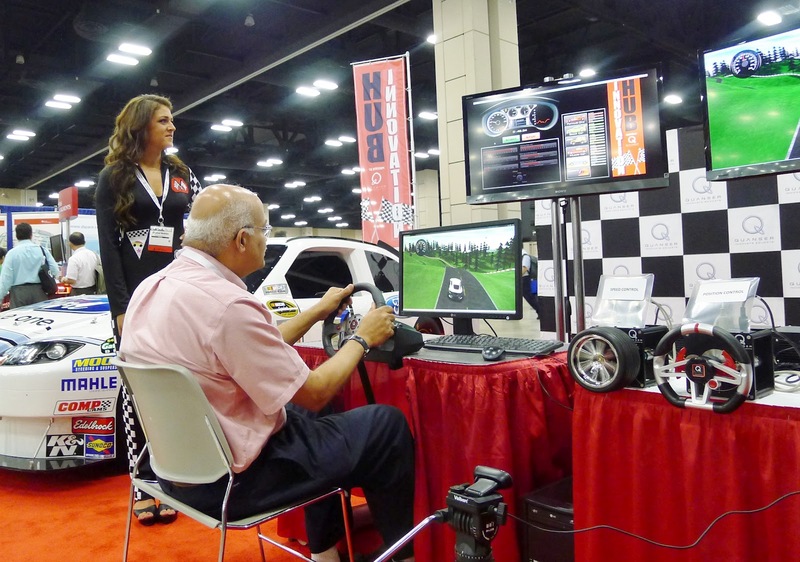 This was amply demonstrated last week at Quanser’s Innovation Hub at the ASEE 2012 Conference in San Antonio, Texas, when a team of Quanser engineers introduced the Quanser Driving Simulator (QDS) to an international audience of engineering educators and students. experience to be completely captivating. Two rotary servo motors are the hardware at the heart of the QDS’s HIL control system. The servo motors work in conjunction with Quanser’s immersive 3D visualization and a software platform that bring together National Instruments’ LabVIEW™ and the new Quanser Rapid Control Prototyping Control Toolkit software add-on. Working as an integrated system, they accelerate students’ ability to grasp important concepts, including position control and speed control. reflects speed control and the right motor shows position control. Students can “drive” the car and see the car’s virtual response on a virtual track through the software model. They can also see it in reality through the servo motors. As a result, the concepts they’re focused on become real, hands-on experiences because there now is a direct connection between the concepts themselves and the various parameters and analytical techniques being studied. Not surprisingly the Driving Simulator proved to be a star attraction at ASEE 2012, garnering constant attention throughout the three days of the conference. Take a look (below) at the QDS video that played onsite at the ASEE 2012 Conference. It features two University of Toronto engineering students talking about their positive experiences using the Driving Simulator. Coming Soon: Stay tuned to this blog to see an exciting video that captures all the "hubbub" surrounding the Quanser Innovation Hub and its featured attraction, the Quanser Driving Simulator.